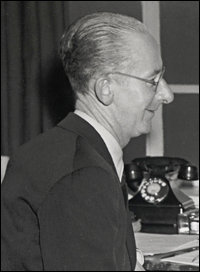 Angus MacPhail, probable inventor of the term 'Macguffin', is central to the history of screenwriting at two major British studios during the 1930s and 1940s. Michael Balcon appointed MacPhail scenario editor at Gaumont-British studios early in his career and issued the instruction that "no film shall be considered for production until it has his approval... from a story point of view". MacPhail exercised the same gatekeeping and quality control functions when he followed Balcon to Ealing Studios at the end of the 1930s. He remained there until alcoholism forced him into semi-retirement in the early 1950s. MacPhail was a creative fixer who drew upon his encyclopaedic film knowledge to solve other writers' or directors' script construction problems. His individual contribution to film history is harder to pin down. MacPhail began his film career in the mid-1920s with fellow Cambridge graduates Ivor Montagu and Ian Dalrymple at Brunel and Montagu Ltd , a firm of 'film doctors' that re-edited and re-titled 'sick' films brought to them by worried distributors. This introduced him to the collaborative work of refining and improving film construction, carried out anonymously because distributors did not want to advertise their reliance upon the firm's services. After that, MacPhail spent most of his career working for Balcon and often collaborated, sometimes uncredited, with Alfred Hitchcock . MacPhail was a valued contributor to story conferences which, with characteristically impish wit, he described as invariably concluding: "the script is hopeless and must be rewritten from start to finish... according to the personal views of the director, or the star, or the production manager.... But not of the writer". In script terms, 'Macguffin' describes a structural device that sets the story in motion but may have little significance in itself. MacPhail's association with this term exemplifies his expertise in the mechanics of script construction and his formalist approach to writing. Charles Drazin has suggested that for MacPhail scripts were puzzles to be solved through the correct combination and sequencing of filmic devices. MacPhail combined this with a keen awareness of the extent to which commercial considerations dictated film writing; his advice to novice scriptwriters was not to develop a distinctive voice or to write from personal experience. Instead, he emphasised how 'by an easy transition' any script could be rewritten as a vehicle for a particular star. Formalist literary theory tends to minimise the individual writer's role, so it is ironic yet somehow appropriate that MacPhail's most famous coinage, the 'Macguffin', is much more readily associated with Hitchcock than with him. Similarly, his contributions to the remake of The Man Who Knew Too Much (d. Hitchcock, 1955), and possibly Vertigo (d. Hitchcock, 1958), did not receive screen credit. Although he could turn his hand to any type of script construction, MacPhail was by all accounts more inclined to puns and wordplay than to naturalistic dialogue. This is evident in the book of limericks he co-edited with Dalrymple as a student, and the short pieces he occasionally published about the craft of film writing. Given MacPhail's ubiquity as a scenario editor, credits are an even more unreliable guide to his contributions to scripts than is the case with other writers. Nevertheless, there may be some significance in the fact that he received screen credit for most of the Will Hay , George Formby , and Tommy Trinder comedies that appeared during his early years at Ealing. MacPhail's many letters during his semi-retirement, his most personal pieces of writing, were prized by his former colleagues. His correspondence carried on punning and reflected humorously on past collaborations. Brutally effective WWII propaganda film on the dangers of careless talk.